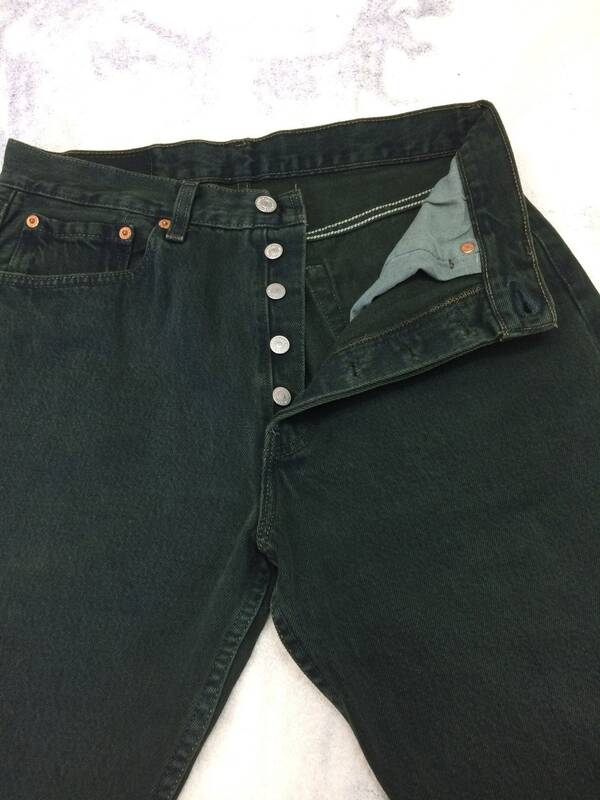 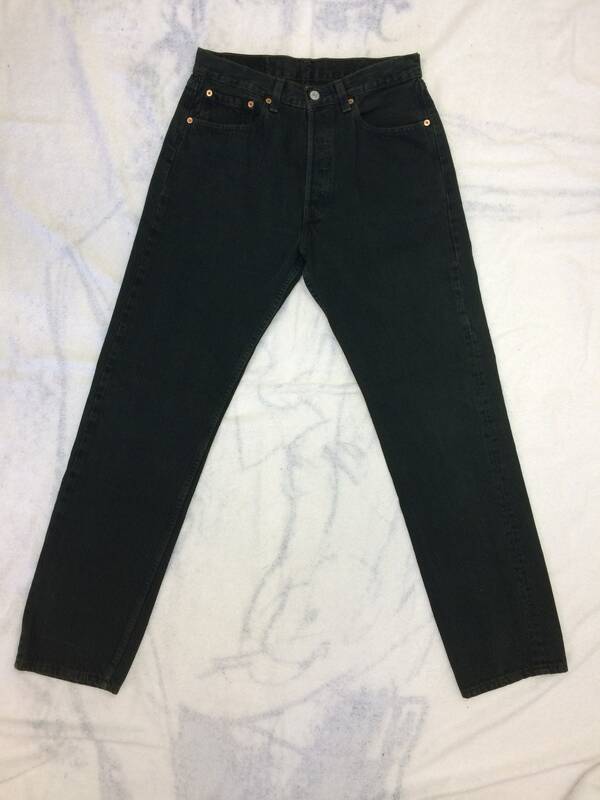 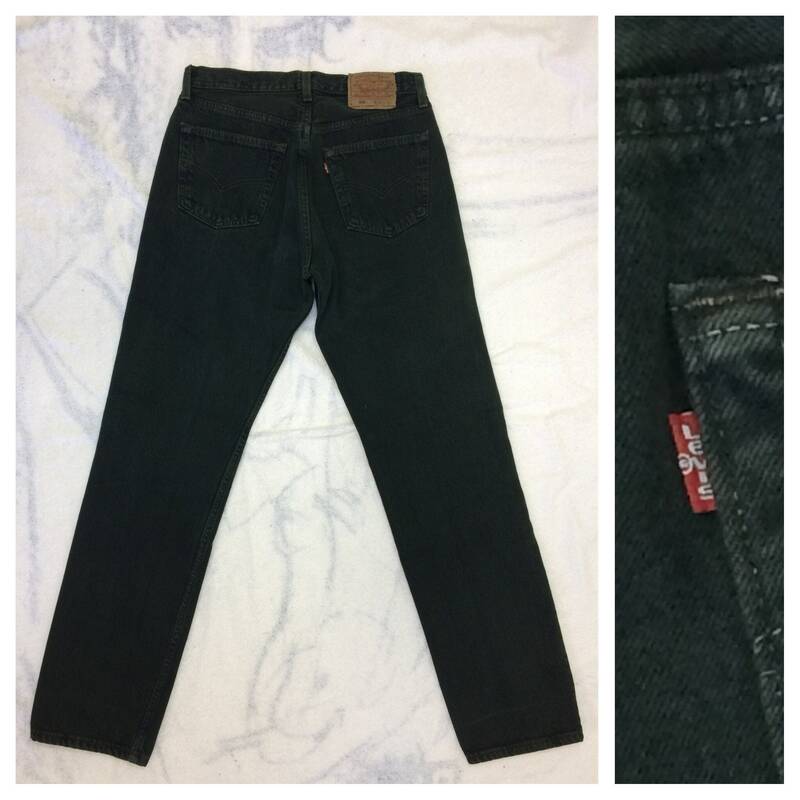 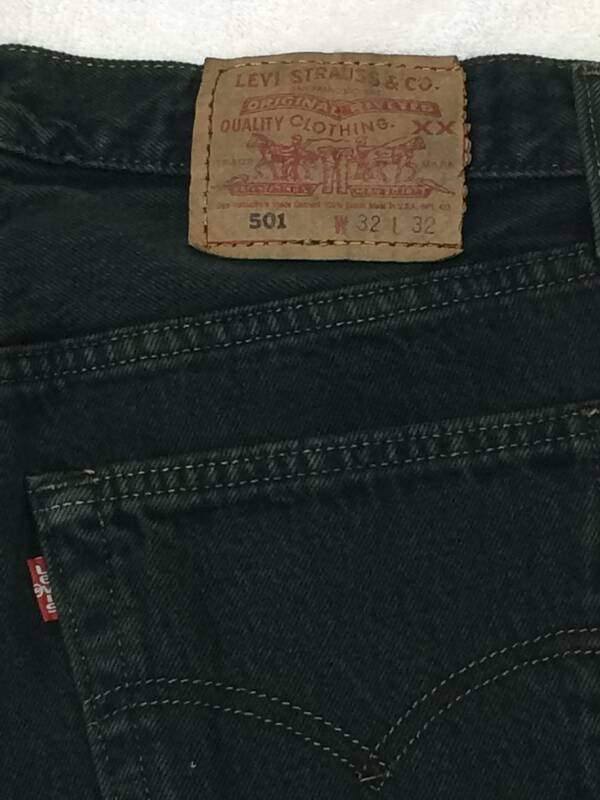 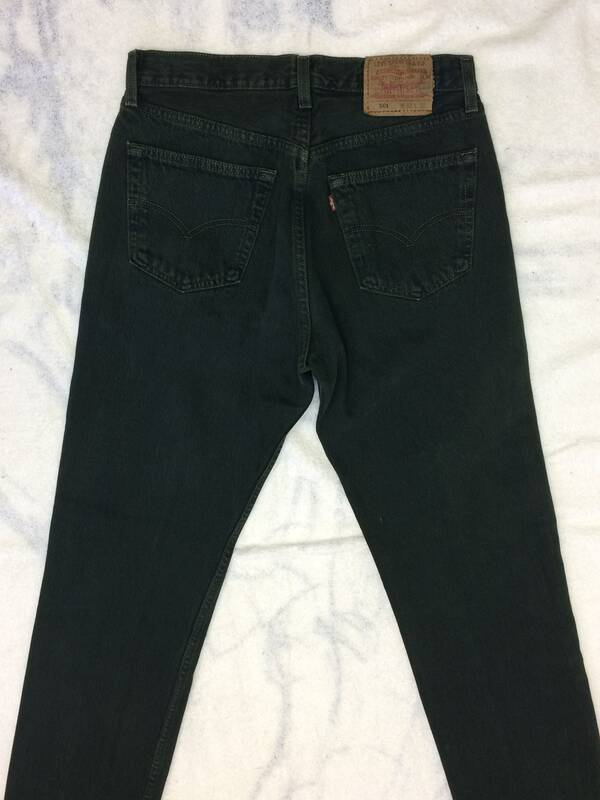 Here's a pair of dark green over dyed Levi's 501 jeans from the 1990's. 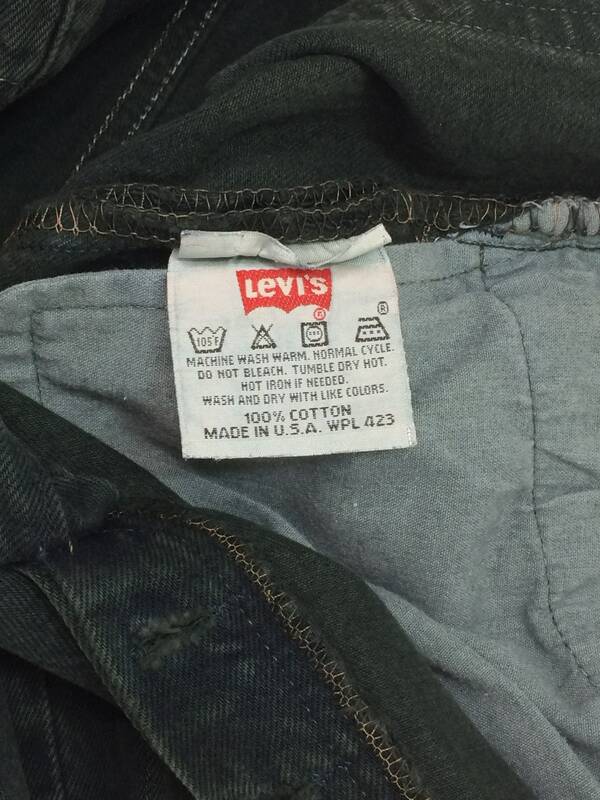 They are 100% cotton and made in the USA. 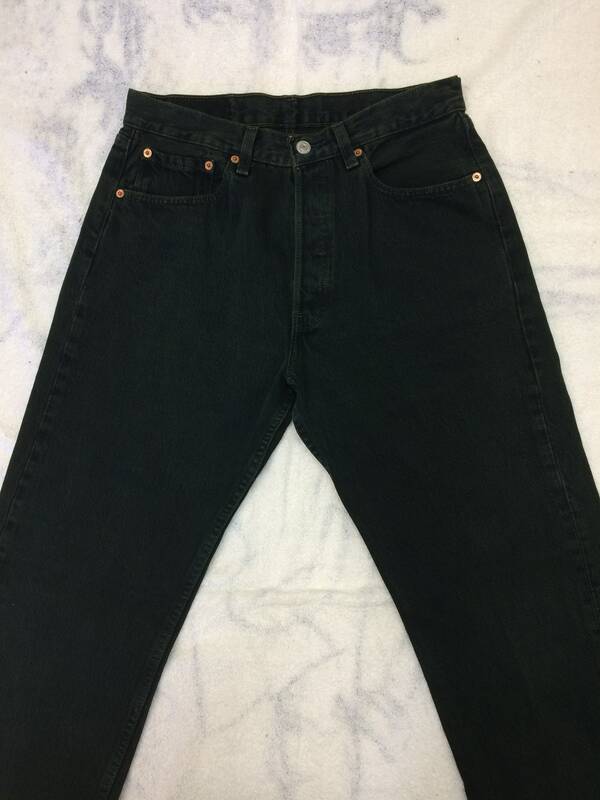 They're in excellent used condition, no damage.